Question 1: I would like to ask is it allowed to use communication apps such as Skype (or other instant messaging devices) using the Internet to exchange the information between the team members? Of course, considering that the Internet connection is provided (which is not mentioned in the Championship Regulations). Answer: It used to be allowed to use messangers during the championship however it has caused some controversy regarding communicating with people other than your team member. We are working intensively to provide the teams with the effective communication tool, but please be ready to communicate verbally or by notes. Also, we are not ensuring that the Internet connection will be provided. Question 2: Can Organiser provide the contestants with the computer? Answer: If a participant does not have his/her own computer, it is possible to rent a computer (laptop) for an additional fee of 100 PLN (net). 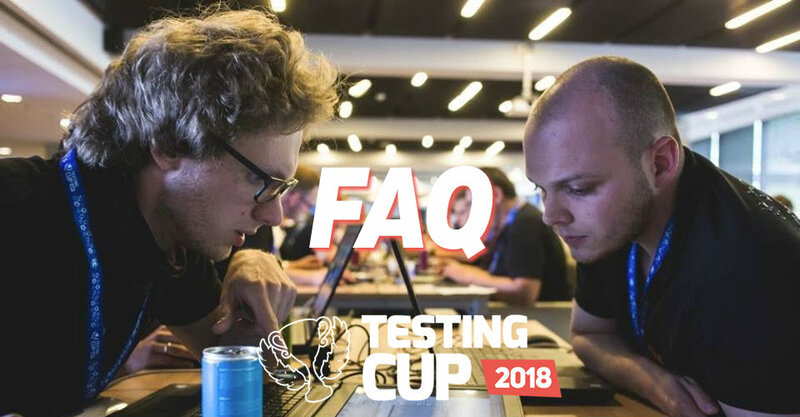 Such a participant is obliged to notify the Organiser about his/her will to rent the computer, sending such a notice to the following e-mail address: testingcup@testingcup.pl, not later than on 30 April 2018. Question 3: What if my computer has only Linux operating system installed? Answer: Mr Buggy 6 application requires Windows 7 or newer version of the operating system installed. Question 4: Which language is preferred during the competition when creating the documents? Answer: The created documents can be prepared in Polish or English. Documents in other languages shall not be subject to evaluation. Question 5: Where can I find examples of applications and documentation that was used during previous editions of Championship? Answer: We store them under http://mrbuggy.pl/. Please keep in mind that previous editions were done in Polish so most of the examples are in Polish. Question 6: Do I need administrator privilidges on my Windows user account to run championship application? Answer: You must have administrator privilidges on your Windows user account to run Mr Buggy 6. Question 7: Do I need a special version or type of a browser? Answer: We strongly recommend you to have installed the newest version of Internet Explorer (IE 11) browser. You can download it from Microsoft website: https://support.microsoft.com/pl-pl/help/17621/internet-explorer-downloads. If you use Windows 8 please try to update it to IE 10 version.